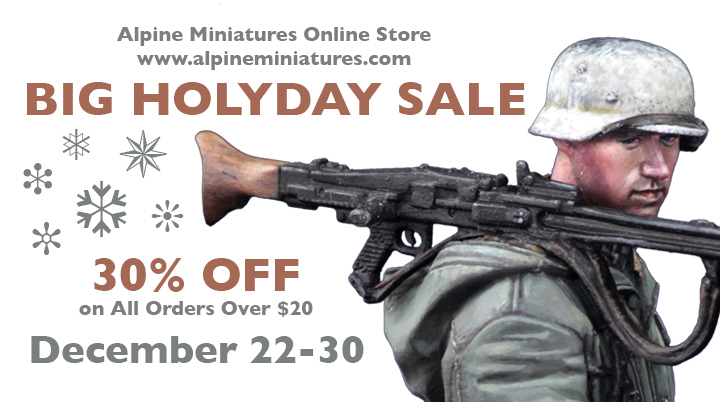 KitMaker Network :: Alpine Holiday Sale!!! Please note that all online orders will ship out from Dec. 31. Just email me with your address and list of figures. Great deal! Just order two 1/16 scale figures I have been wanting for a while. I received the figures today Jan 2, 19. Even better looking than in the photos, excellent sculpting. Look like they will be a joy to assemble and paint!